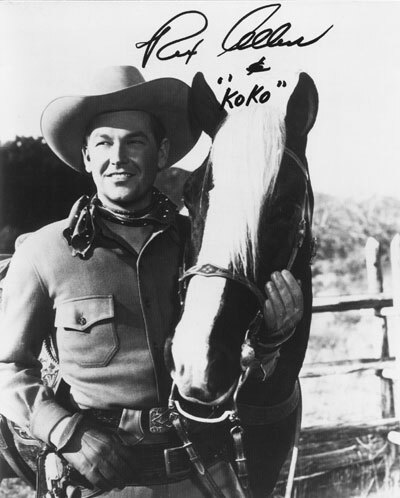 Here's a clean, professional photo of Arizona's very own Rex Allen Sr. and his beloved horse KoKo. The Arizona Cowboy was the last singing cowboy, starring in the final singing cowboy movie Rails into Laramie. However, you needn't be a fan of the old Westerns to run into Rex. He lent his vocals to Disney, serving as the narrator for many animated works.